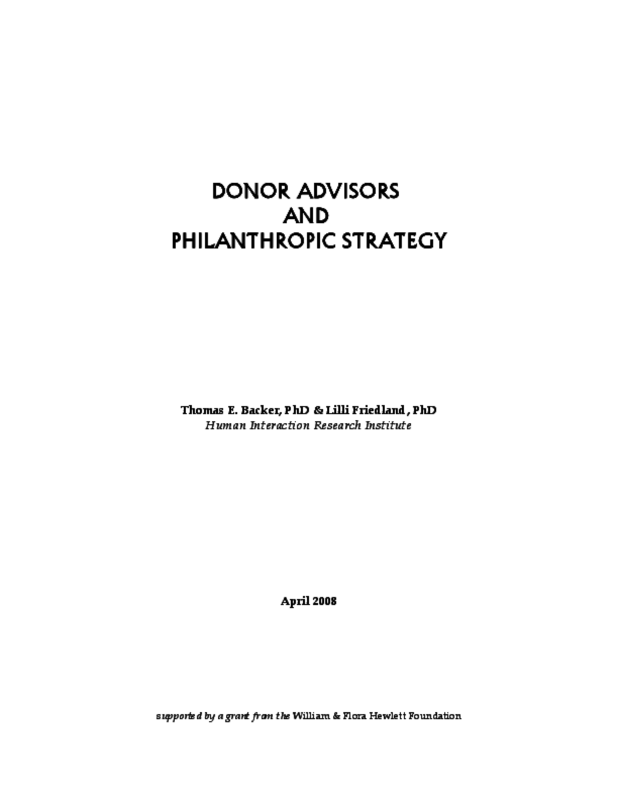 Based on a literature review and interviews, explores how donor advisors shape the philanthropic strategies of the wealthy. Looks at the key activities and elements of effective advising, the need for training, and the potential for collaboration. Copyright 2008 Human Interaction Research Institute.